While many people are familiar with NASA, most people do not know there is a second American Space Agency that is almost as old and big as NASA, but operating much more in the shades: the NRO (National Reconnaissance Office). This Agency with an annual budget of $10 Billion launches satellites for military and intelligence purposes for the USAF, CIA, NSA and US Navy. Most of these satellites are “classified” and their orbits are not made public by the US government. The same is true for a number of Japanese and German military satellites. These satellites are used for a wide variety of tasks: from simple communication platforms to detailed imaging of targets on the ground to eaves-dropping on radio and telephone to Infra-Red early warning of missile launches. They play an increasingly important role in modern warfare and geopolitics. Countries are invaded based on what these satellites appear to show. Although they are supposed to be ‘secret’, information on the orbits and positions of these ‘secret’ satellites is nevertheless available because they are being tracked by a small but dedicated network of amateur observers, including myself. The truth is that several of these satellites can actually be seen without special equipment, even from urban environments, and are hence not so ‘secret’ at all. While largely unknown to the public, it is in this ‘secret’ space program where much of the true innovations in space technologies have originated. The Hubble Space Telescope for example, is based on the KH-11 ADVANCED CRYSTAL (aka “Keyhole”) optical imaging satellites, which make very detailed photographs of the Earth. In my talk I will briefly outline this ‘secret’ space program and its origins. I will outline the various kinds of satellites used and the various kinds of orbits they are in, depending on the role of the spacecraft. Using a case study of a recent KH-11 launch, I will show how we track these objects (and how we often have clues to the intended orbit and the payload character even before it is launched), and what we can learn from their observed behaviour. I will also briefly discuss the importance of this kind of documentation from the viewpoint of documenting Space history and the relevance to our Democratic society, as well as pose questions about the realistic limits of secrecy. 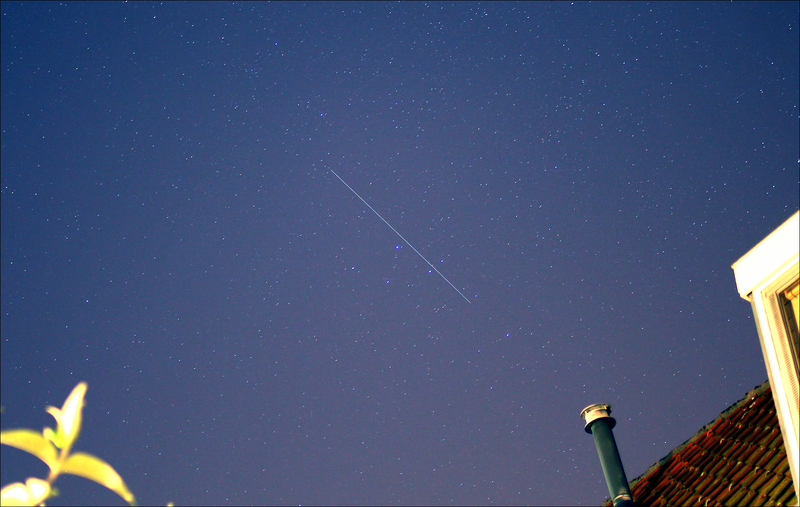 USA 161 KH-11 ADVANCED CRYSTAL ('Keyhole') passing on 3 June 2014 over my house in Leiden, NL.